Made of plastic. 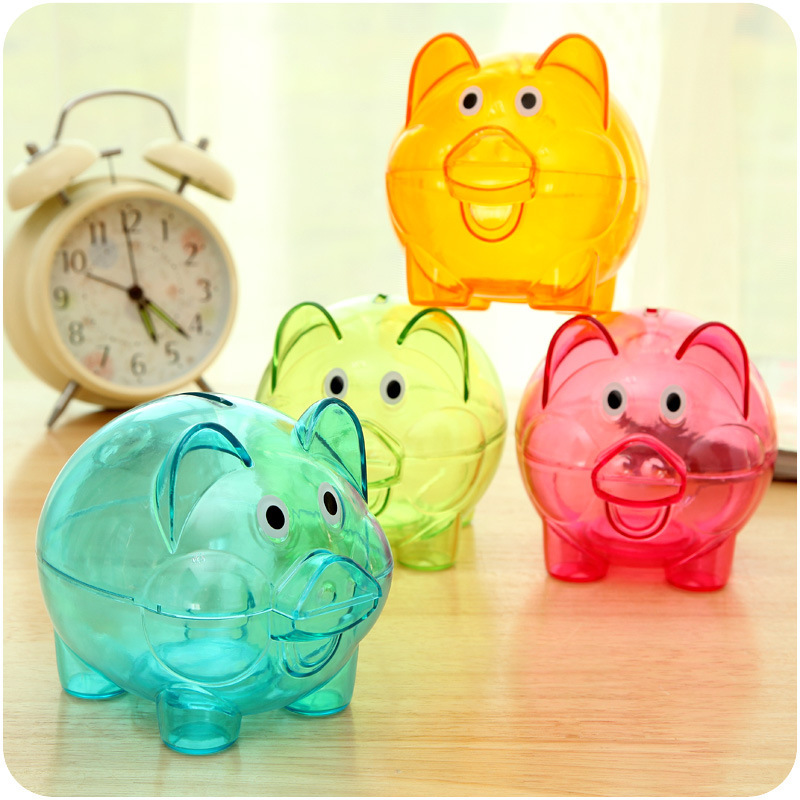 Encourages savings in young children and features a twist plug to retrieve the money. Great for banks, financial institutions,credit unions,mortgage companies, real estate offices and more plastic. Colors and logo are available. 4" x 3" x 2 3/4"
Package: 1 pc/opp bag, 100 pcs/ctn, 14 lbs/ctn.